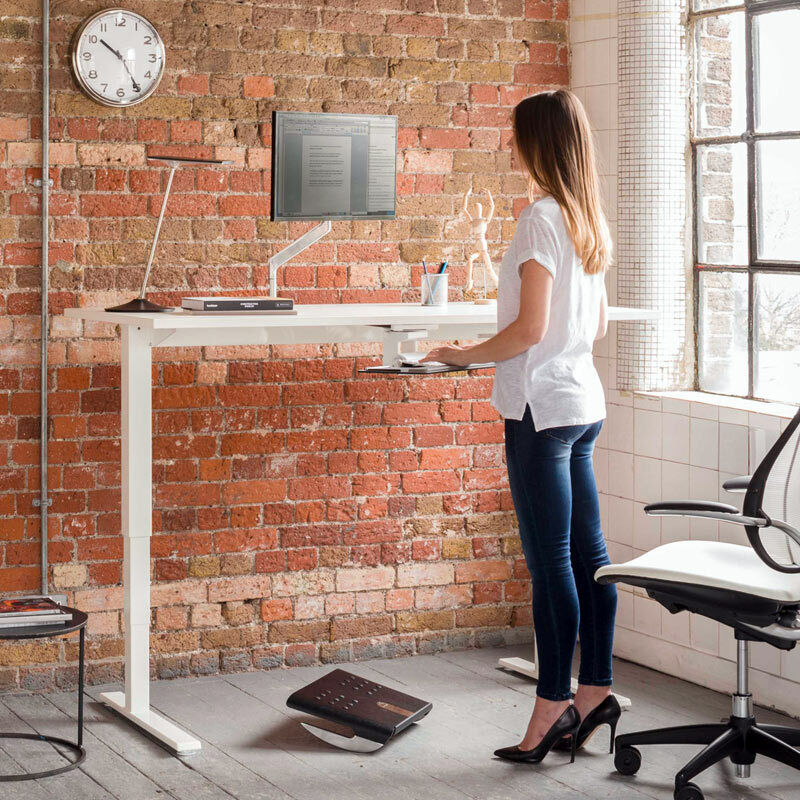 It’s no secret that we love the benefits of standing at work. 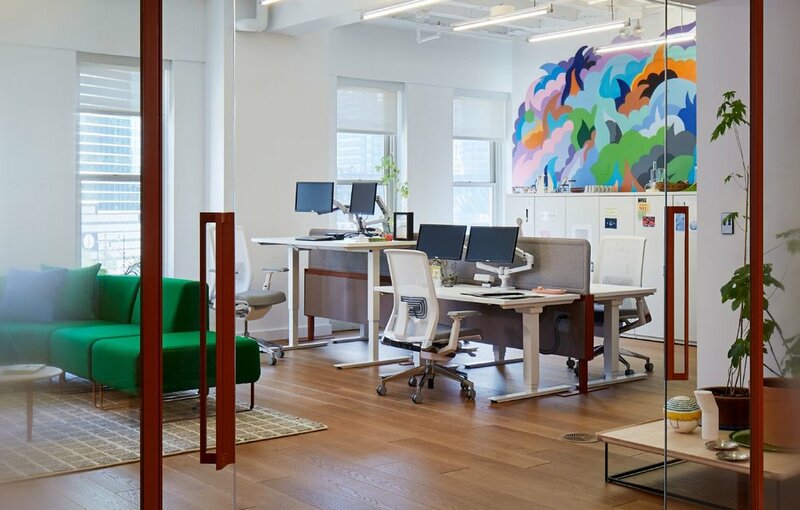 There are plenty of options to achieve the ability to stand at work; whether it’s an Ergotron WorkWell unit or a Haworth Planes desk there are options and finishes for any budget. Should you choose to purchase new furniture or products for your team know that you’re making an investment in their health and wellbeing. Just like any other investment it comes with special instructions and care that will ensure it has the highest rate of success. First, let’s start with beginning to use a sit-to-stand product. 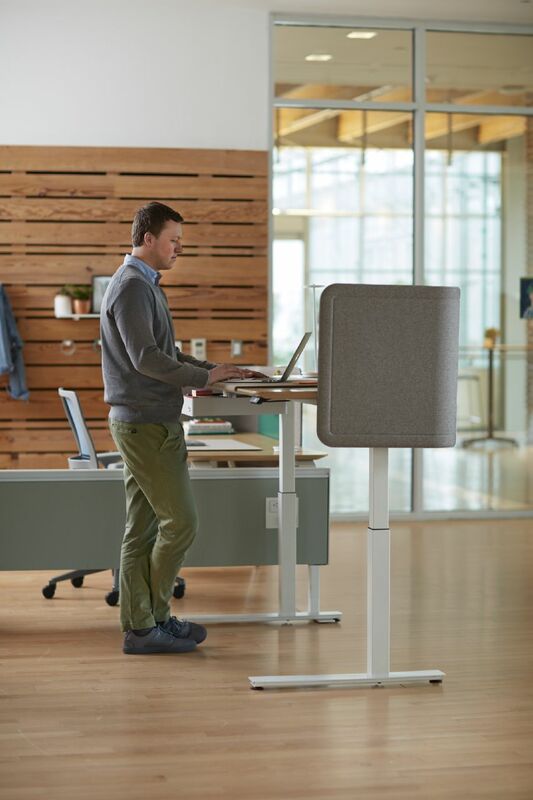 Once you’re fully accustomed to your new product we (and Columbia University) recommend 5 minutes of standing or activity for every 30 minutes of sitting. These recommendations lay out a plan for using a sit-to-stand work surface. Begin standing in sessions that last 15 minutes or fewer. Increase each session length by five or ten minutes after three or four days if standing and working is not causing discomfort. Be aware that some people experience low back pain when standing in place for 25 to 30 minutes. If you find yourself in this group, your personal plan should be to return to sitting (or another activity) prior to the onset of discomfort. Increase your standing time to a point that is comfortable for you. Standing for an hour is great but try not to let a session of standing go beyond two hours. Ergonomic practices are still important when standing at work. The display, keyboard, and mouse should be raised to position them in zones that encourage good posture. The top of the viewable screen should be just below your eyes to keep a neutral neck posture. The keyboard and mouse should also be high enough and close enough to maintain flat wrists with both elbows close to your torso. Be mindful of the viewing distance to your computer screen. If you use a sit-stand stool or work in a reclined posture (while sitting), you may need to bring the display closer to your eyes while in these positions. Stay green: keep in mind the type of chemicals you’re applying to the products, try to use Green Seal Certified Cleaning Products when possible. Green Seal is awarded to product that work well and have less impact on the environment. Laminates: for general cleaning use a mild detergent and warm rag. Heavily soiled surfaces can be tackled with a Windex-type product. Steel Trim: like seating and desk bases: minimal maintenance is necessary, just wipe with a mild detergent when needed. Lastly, Haworth products come with a 12-year warranty. With other manufacturers, you may get replacement parts but you’re left attempting to repair the furniture on your own. If you’re in need of a repair all you have to do is give us a call and let us handle the rest.